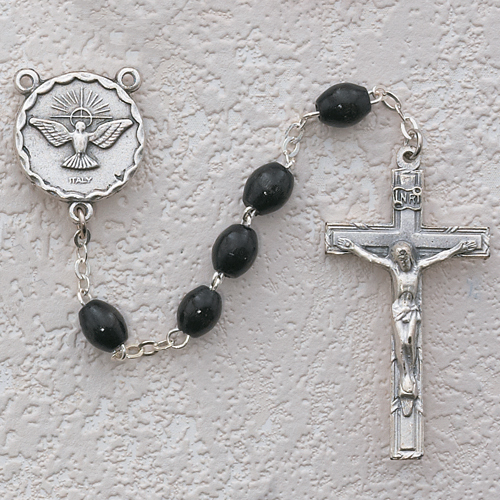 Black beaded rosary with a elegant crucifix with simple line. The Rosary center features the image of a dove with outstretched wings, a symbol of the Holy Spirit. A perfect gift for Confirmation of for someone needing the guidance of the Holy Spirit.